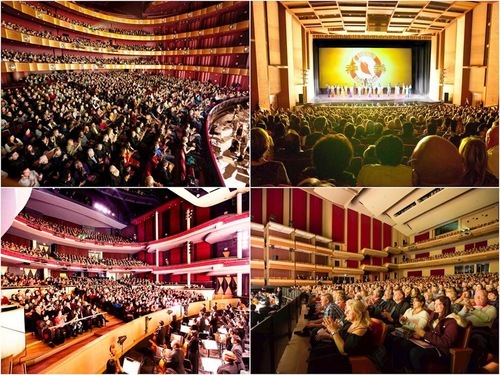 While audiences around the world enjoy the artistry and spiritual depth of Shen Yun, Chinese audience members who have experienced the performances outside of China feel especially proud and touched to see China’s true, traditional culture being presented to millions of people. “Very touched… I’m proud of Shen Yun Performing Arts,” said painter Hu Yu. Ms. Hu explained that the dances presented in Shen Yun are both meaningful and profound. She said, “They really present our traditional Chinese culture. Every dance movement is filled with cultural meaning. 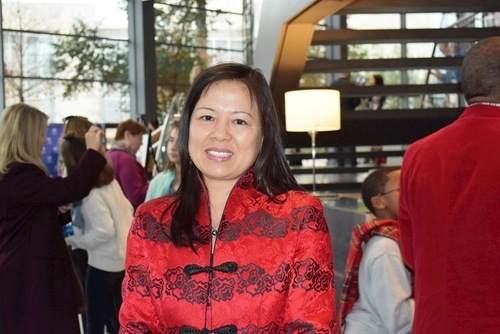 “From the beginning to the end, it follows the theme, ‘The beauty of divine beings dancing (Shen Yun),’” Ms. Hu said. Hu Yu, a painter from China, at the AT&T Performing Arts Centre–Winspear Opera House in Dallas, Texas, on January 13, 2019. “The performance was magnificent. Very stunning, very familiar… I very much admire and respect them,” said Ms. Zhang, who attended the performance in Mississauga with her daughter and sister. “In China, [you] almost can’t see Chinese cultural arts that are this traditional and classical. As a Chinese, I feel very emotional. I feel very proud and also very lucky. “After seeing the performance, I feel very relaxed. It seems like my entire body and mind have been purified. Very comfortable,” she added. “Shen Yun dances cover an abundance of Chinese history and stories. The meanings and values are all very traditional… This is true traditional Chinese culture!” she said. 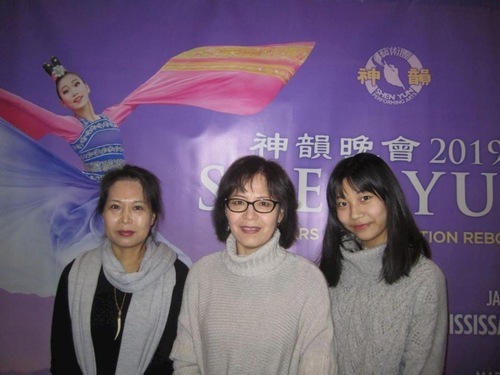 Ms. Zhang (left), her sister (centre), and daughter, at the Shen Yun performance in Mississauga, Canada, on January 11, 2019. Painter and former figure skater Victoria Chen attended the performance in New York on January 11, 2019. Her parents came from China, but she grew up in the U.S.
Ms. Chen was especially impressed by Shen Yun’s animated backdrops. She enjoyed the historical scenes in the backgrounds. 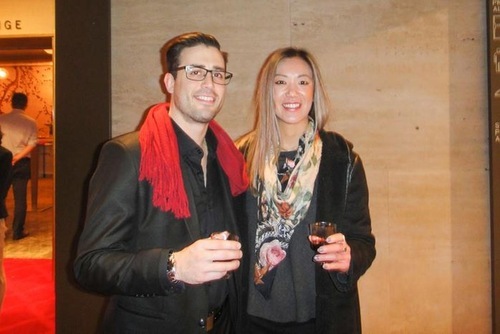 Victoria Chen, a painter and former figure skater, with friend Johnathan Rocha at Lincoln Center in New York on January 11, 2019. Mr. Zhang, used to be a performer with a dance troupe in China. While visiting his family in the U.S., he attended a Shen Yun performance at Lincoln Center in New York with five children and grandchildren on January 19, 2019. “The background designs are so good, so perfect. The people and scenery blend so perfectly. Everything is designed so well,” Mr. Zhang said.